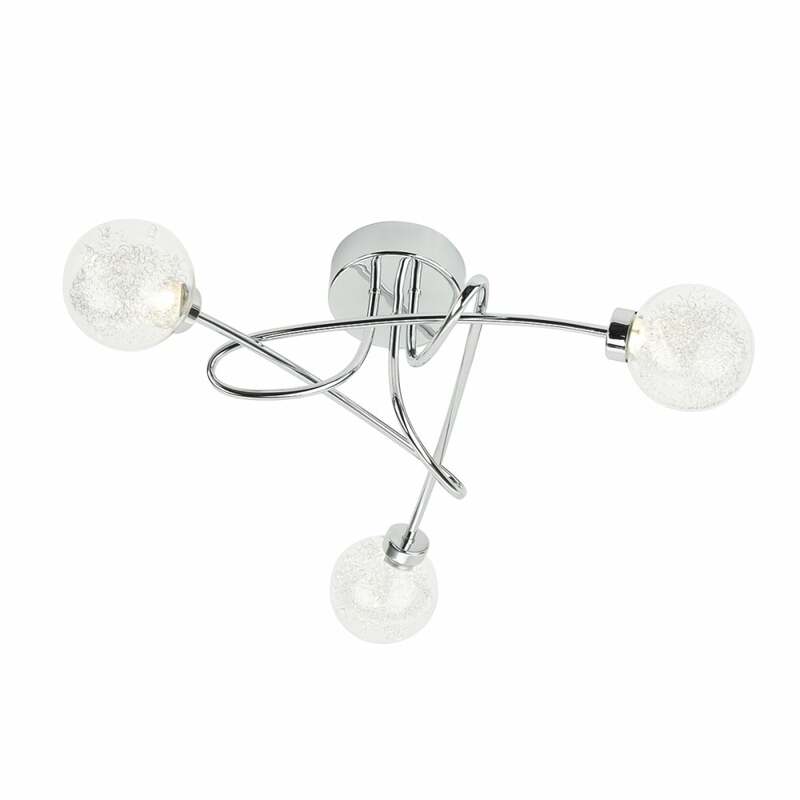 A modern design 3 light ceiling light in polished chrome with glass globe shades with inner wire mesh, this helps to add texture and create a sparkle light effect. The light is LED lit using only 4 watts per bulb but providing 825 lumens or the equivalent of about 80 standard watts in total. The LED modules are discrete giving the impression that there are no bulbs, the light is double insulated for safe use without need of an earth wire and would be ideal for lighting in a lounge or bedroom of a contemporary setting.